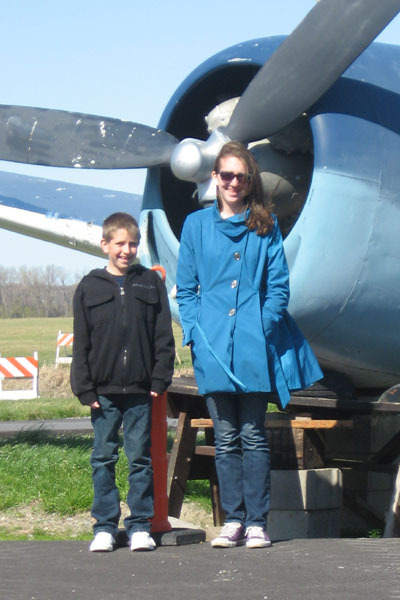 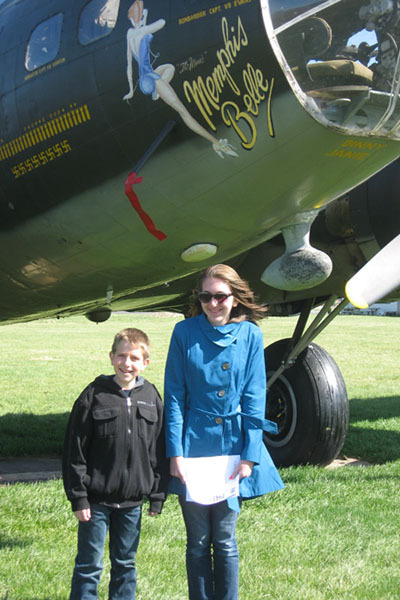 At the the 1941 Historical Aircraft Group Museum, Geneseo, NY, April 7. 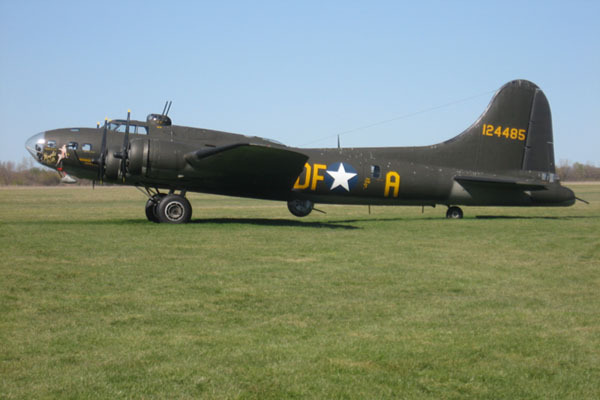 The B-17 that portrayed the Memphis Belle in the 1990 move Memphis Belle was parked on the field. 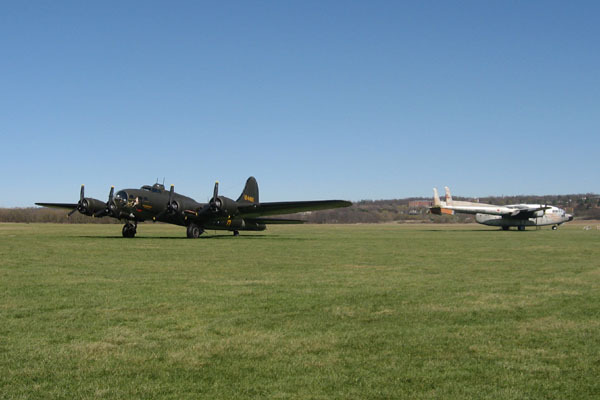 B-17 Memphis Belle and C-119 Flying Boxcar. 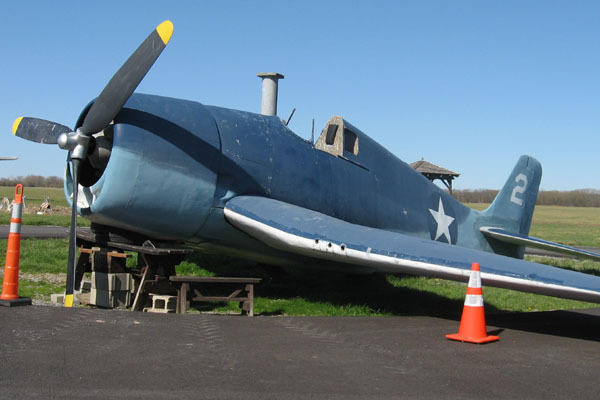 Grumman F6F looks like it skidded in next to the parking lot. 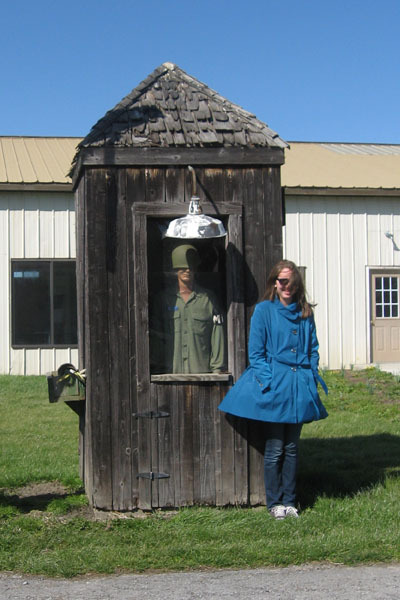 Devon was not thrilled to stand next to the guard.